Magnetic tiles and integrated accessories. 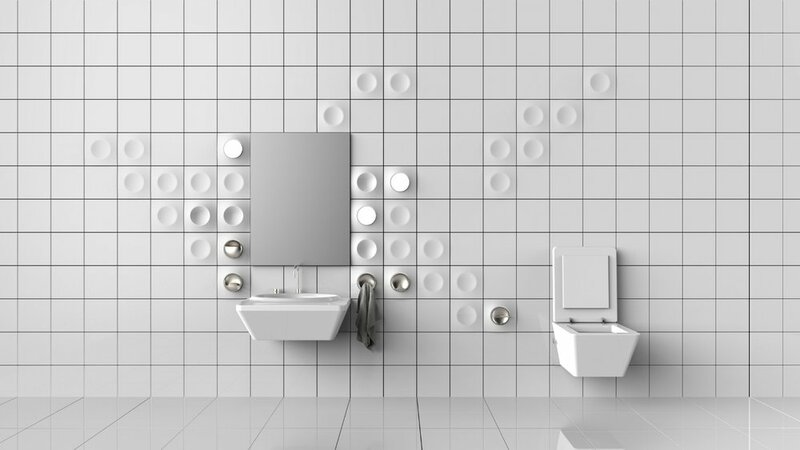 Inspired by the self-adapting quality of the nature, Crater is a family of bathroom products that consists of magnetic tiles and metal accessories. Thanks to the magnetic connection, accessories fit easily on the tiles without requiring any drilling work. Besides, easy attachment and detachment allow users to rearrange the accessories conveniently. 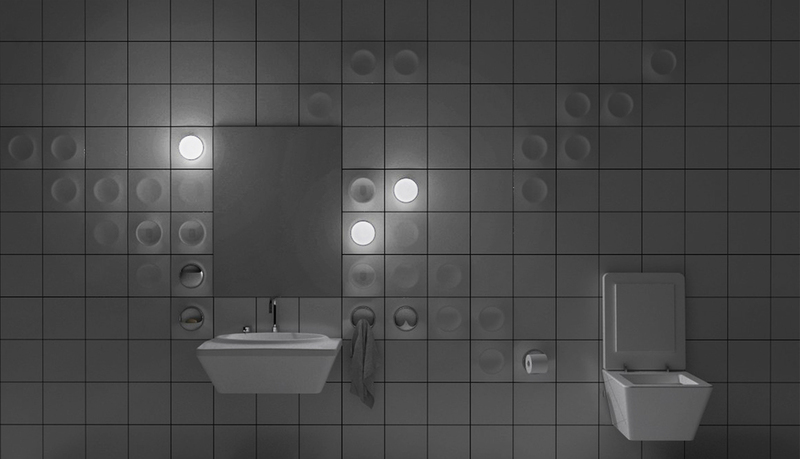 The aim of the project was to rethink and reintegrate ceramic bathroom accessories with bathroom tiles, and to explore design solutions in relation to sustainability considerations through an innovative approach. Within the scope of the project, designer Berk Ilhan was asked to design a product family which integrates ceramic bathroom accessories (e.g. shelf fixture, soap dish holder, soap dispenser, toothbrush holder, towel holder, toilet brush holder, toilet roll holder, etc.) with bathroom tiles. The project explored the potential of personalization and design informed by nature approaches to develop sustainable design solutions.